The Jubilarians of this year was celebrated on September 10, 2018 at Divine Word Residence, Riverside. 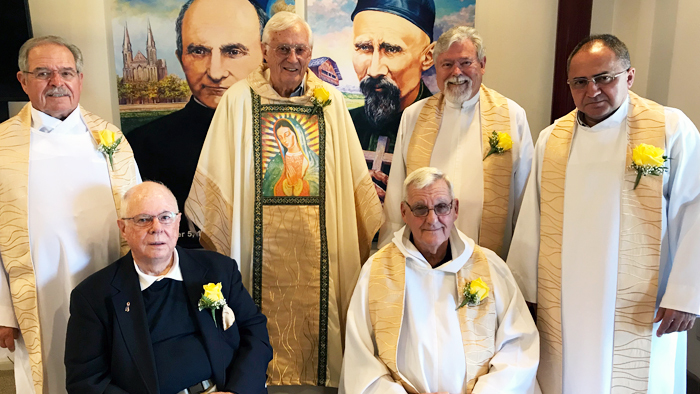 The celebrations began with solemn Mass concelebrated by the Jubilarians. Joseph Miller was the main celebrant. Steve Pardy gave the homily. He shared about the past and the changes and transformation that has taken place over the years. He spoke about the prevalence of clericalism even today and its influence in the Society. It is also the possible reason for the decline in brother vocation. You can get the full text of his homily on our (www.svdusw.org) website. The Jubilarians reminisced and fondly remembered those helped them to get where they are now. 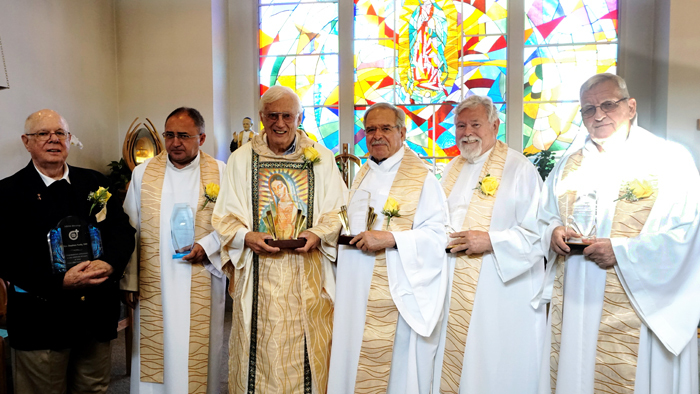 After the Mass the Provincial felicitated them on behalf of the province and presented with jubilee mementos. The celebration climaxed with the social and the great dinner that followed. We express our thanks to Rector and the community for organizing the celebration and all those who were involved in making that day a memorable one. 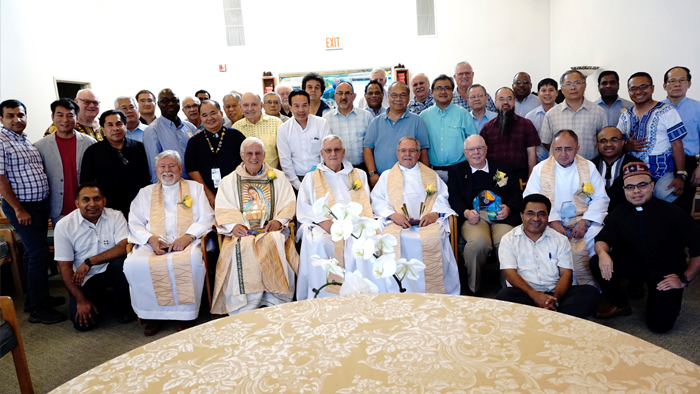 celebrated 25 years of priestly ordination. May they continue to receive abundant blessings to bring the message to many more.